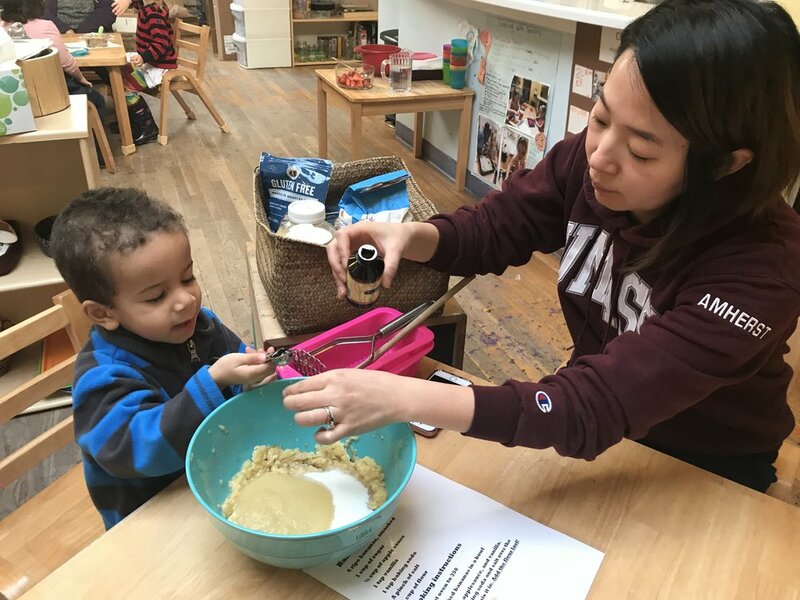 Today Da Un and some of the preschoolers made banana bread for our community breakfast tomorrow. It is vegan and gluten free and of course delicious. The children took turns measuring and counting. 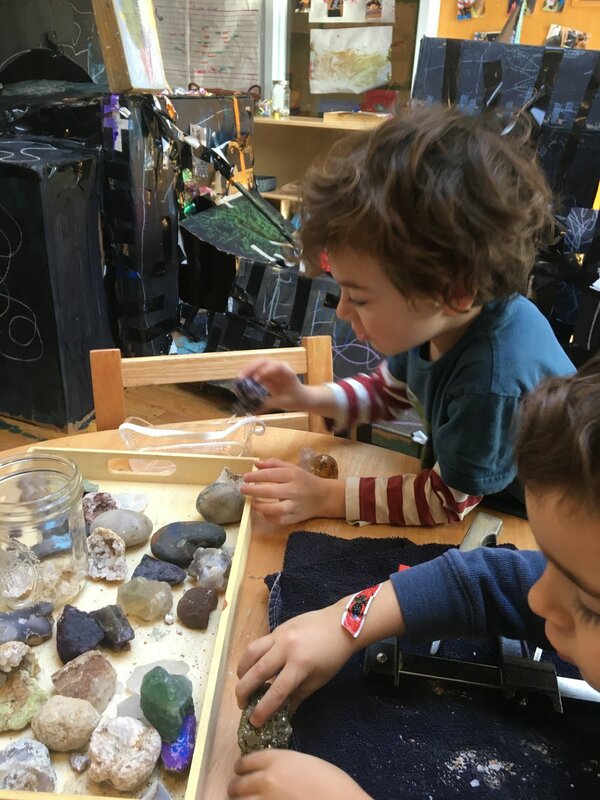 Our preschoolers are learning about and using tools in their exploration and learning. 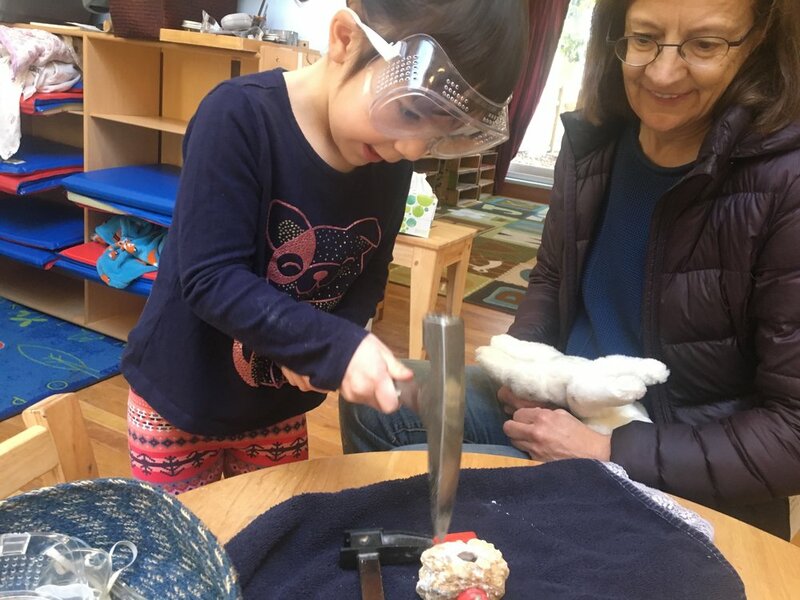 Some tools require safety norms, such as using safety goggles when we are using the tool to break open the geode as well as caring for tools. February 13, 2018 by webmaster.